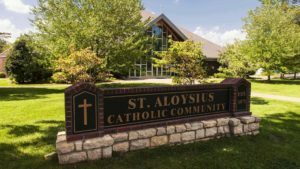 St. Aloysius, located at 212 Mt Mercy Dr, Pewee Valley, KY 40056, is a parish of the Archdiocese of Louisville and is now home to over 1,600 families with a continual growth in numbers every month. The parish recently acquired adjacent property upon which future growth can occur. The vision behind the additions or changes to structures that might occur in the future is an emphasis on formation – reaching the people in such a way as to spark deep spirituality and growth in faith. Any building, parking lot or whatever else that has taken shape throughout the history of St. Aloysius parish always has behind it the vision to foster spiritual growth of parishioners, and the impact that people strong in spirit can have on the world around them. Christ founded a Church that is dynamic and living, calling all to live the gospel in the context of one’s time and place, keeping an eye on the past and the future as one does so. St. Aloysius has done very well since its inception in 1863, to go forward and grow, while keeping at its core the rich tradition of the Catholic faith and that of the parish community itself as well. In 1865, Rollington-area Catholics who had been worshipping in private homes built a small church dedicated to Saint Aloysius. In 1871, the appointment of Father Alexander J. Harnist as pastor marked the foundation of the parish. Two years later the community purchased a Methodist church for use as a school. The interurban railroad was drawing population toward Pewee Valley, and the parish relocated there, building a rectory in 1911 and a church in 1913. The Sisters of Mercy opened a new school in 1926. Franciscan Friars served as pastors from 1924 until 1938, starting with Father Alphonse Wilberding, O.F.M. The twenty-nine-year pastorate of Father Albert J. Schmitt, 1938-1967, ended with his death in an automobile accident. The 1970s brought growth on many levels. Thanks to funds raised by bingo, suitable athletic facilities in Allgeier Hall were added in 1982 for the teams sponsored by the Men’s Club. Ever-increasing population made a larger church necessary, but it was not easy for parishioners to consider this change. Father Vincent Schweizer led a planning process for a contemporary-style church, dedicated in 1992. The second church remains a chapel for smaller services. With about 6,500 parishioners, St. Aloysius nurtures a family appeal and a welcoming spirit, with strong outreach programs. 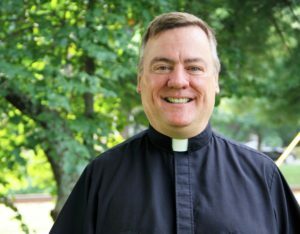 Blending new and long-time parishioners is a challenge. The pressures of growth created needs for the school and the religious education program, and the parish responded in 1995 with additional classrooms, a computer laboratory, a gymnasium, office space and facilities for preschool and after-school programs. A vision of lifelong learning extended the concept of education. The result was the Parish Lifetime Learning Center. In 2002 the Archdiocese acquired 4.6 adjacent acres and “Woodside,” a Victorian-style house on the National Register of Historic Places. The land will allow St. Aloysius space for future possibilities. Spent his early years with his father in the army, although he devoted his heart and soul to the service of God. 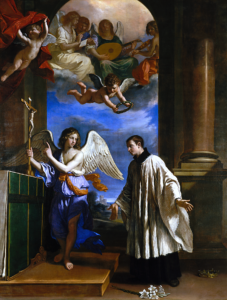 A plague struck Rome in 1591 and Aloysius served those in need at the Jesuit hospital. It was here, while caring for the sick, that Aloysius became ill. Cemetery lots are still available. Find out more.